Thank you to all who were able to attend and participate at Workshop #3. 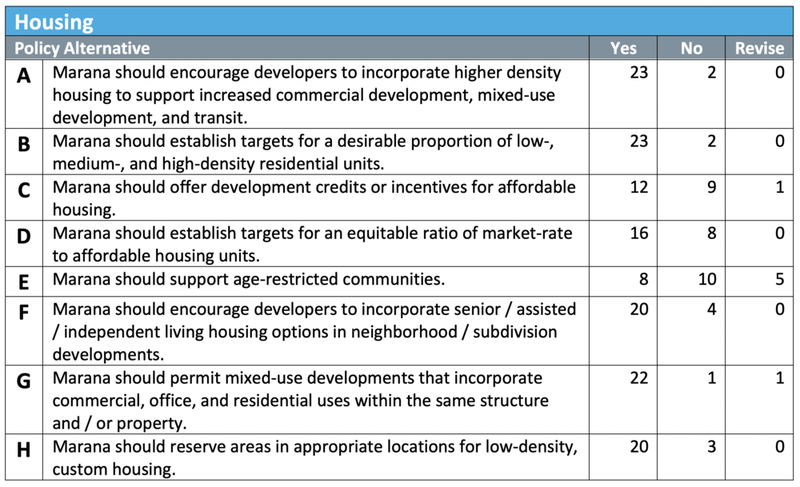 Your input is very much appreciated and necessary to make the Marana 2040 General Plan your own. Below is a summary of the input we received at Workshop #3. If you were unable to attend, there is still time for you to participate. Click the button to take a brief survey and provide your input. Download the workshop overview pdf. Receive input on policy alternatives. A total of 26 people attended the two workshops. Upon arriving, each attendee was asked to identify on a map, generally, where they live or work in Marana. This was done to see what areas of the town were represented in the workshop results. Attendees at the January 23rd workshop were primarily from the communities surrounding Downtown Marana. 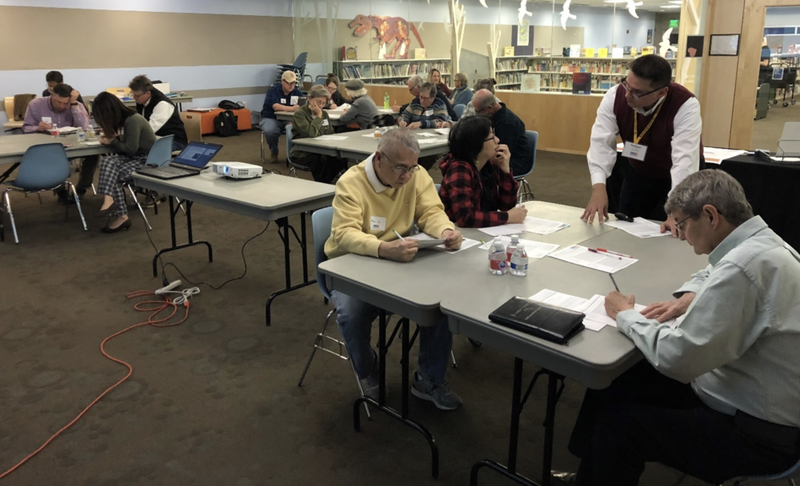 Attendees at the January 24th workshop were more wide spread throughout Marana, with the majority of residing in communities along Silverbell Road, such as Continental Ranch. Participants reviewed each policy and marked “Yes” if they like the policy, “No” if they do not like the policy, or “Revise” if they want to edit the policy. Participants also had the opportunity to recommend a policy not listed on the worksheet. The results of this exercise are detailed on the following pages. Make Marana 2040: Your input is needed!